Ah ah! 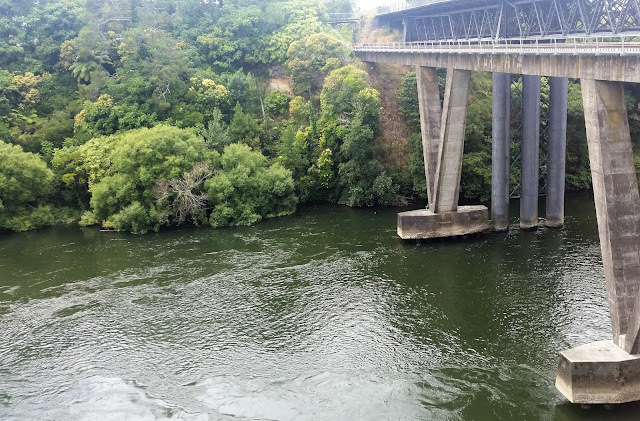 thanks to Leigh I now know that the Waikato is the longest river in NZ. The water is quite green. Yes, it does usually look green, I think it is algae in the water that makes it look that colour.